These duck-billed detectives really deliver! Dav Pilkey, creator of Captain Underpants. This is the city. Kalamazoo City. Platypuses work here. They carry a badge. They’re called the Platypus Police Squad. Paired together after a veteran detective retires, hotshot rookie Rick Zengo and hard-nosed old-timer Corey O’Malley don’t immediately see eye-to-eye. But when a call comes in about a crime down at the docks involving a missing schoolteacher of the amphibious persuasion and a duffle bag full of illegal fish, they’re going to have to learn to set their differences aside if they want to get to the bottom of this. Especially when the clues all point to Frank Pandini Jr., Kalamazoo’s first son and its most powerful, well-respected businessman. His new club is the hottest place in town and serves the best root-beer floats around…but could Pandini have his paws in the illegal fish trade? Learn more about the squad and join the force at the Platypus Police Academy! Jarrett J. Krosoczka has been passionate about storytelling through words and pictures since he was a kid. 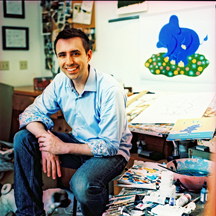 He began his professional career by illustrating educational readers for a national publisher while still an undergraduate at Rhode Island School of Design. 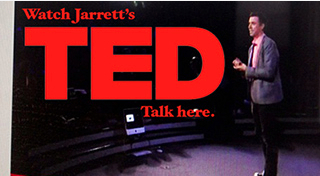 Then, just six months after graduation, Jarrett received his first contract for a trade book that he authored. Knopf Books for Young Readers published Good Night, Monkey Boy on June 12, 2001 and Jarrett hasn’t stopped or slowed down since. He currently has authored and illustrated eighteen published books—ten picture books and eight graphic novels. His Lunch Lady series has twice won a Children's Choice Book Award, in the Third to Fourth Grade Book of the Year category, and was nominated for a Will Eisner Comic Industry Award. 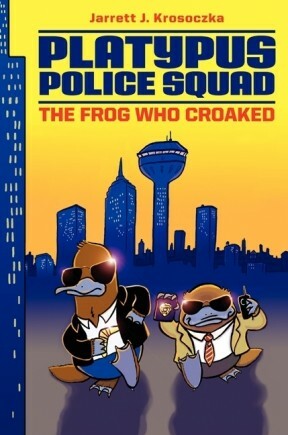 Platypus Police Squad marks Jarett's chapter book series debut. The other titles in the series include The Ostrich Conspiracy, Last Panda Standing, and Never Say Narwhal (coming in May 2016). The series is currently in development as a feature animated film by Walden Media. 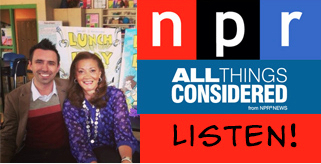 While Jarrett awaits seeing his work adapted for the silver screen, he can be heard on "The Book Report with JJK," his radio segment on Sirius XM's Kids Place Live. Jarrett is happily living out his childhood dream in Northampton, Massachusetts, where he resides with his wife and daughters and their dogs. Find him online at http://www.studiojjk.com. 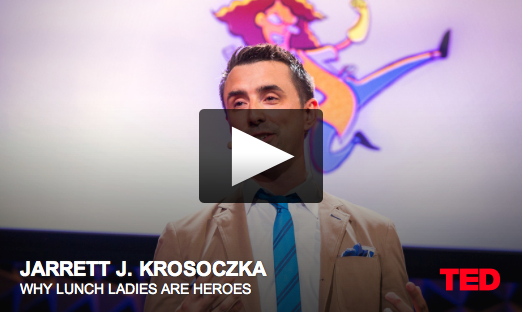 Krosoczka’s considerable fan base will embrace his continuing evolution from picture books and the comics-style Lunch Lady series to his first chapter book. 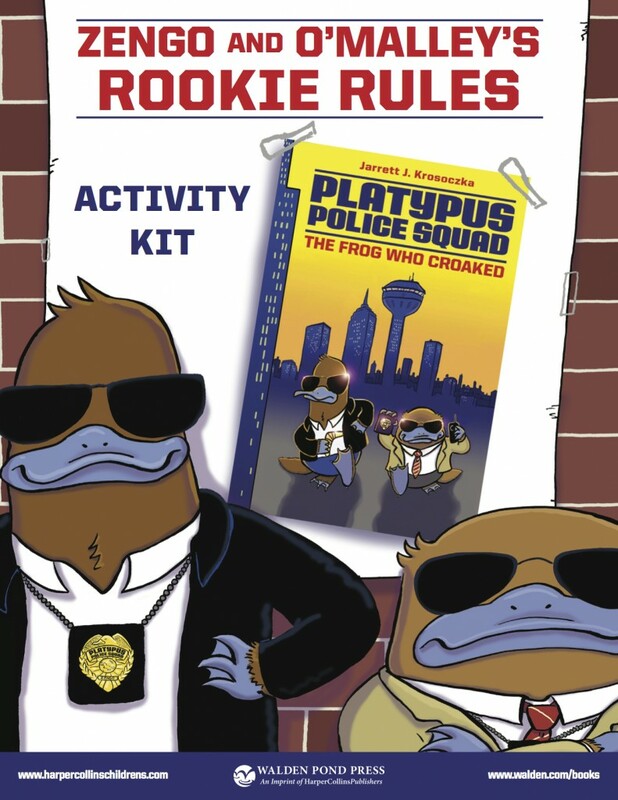 Download the PLATYPUS POLICE SQUAD activity kit!